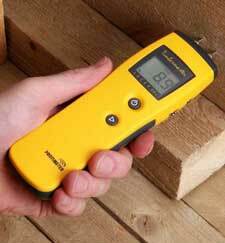 “Accuracy” in wood moisture meters is an often misunderstood or misused term. Every moisture meter manufacturer will claim that their products are accurate. But in determining a wood moisture meter’s accuracy, there are a number of factors to consider. 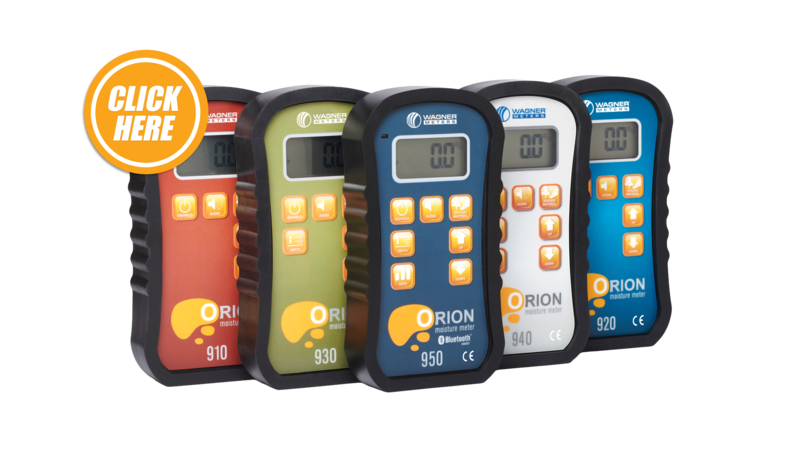 So what do you need to look at to determine which is the best moisture meter for you? It’s probably best to start with accuracy. So how can you gauge a wood moisture meter’s accuracy? By understanding the technology and test methods of determining “accuracy” in wood moisture meters. Over the past 15 years, Wagner Meters has commissioned four separate independent studies that compared a variety of moisture meter types to determine this matter of accuracy. And the results of those studies are as valid today as they were when first commissioned. Let’s examine why. Pinless meters (also referred to as non-damaging meters because they do not have to penetrate the wood) use Electromagnetic Wave technology. The meter sends out electrical waves at a certain electromagnetic frequency that creates an electromagnetic field in the area under the sensor pad. The meter then produces a moisture content correlated to the signal it reads back. Pinless meters typically test a much larger area than pin-style meters and can “scan” the wood for a more complete moisture content picture. Again, this technology is not without some limitations and can be impacted by density variations. While it’s understandable to be skeptical of “sales talk” – the claims that manufacturers make about their products – it’s equally important to read product reviews with an eye to what is being said and how the product was used before the review was offered. While a user review can be a handy indication of what to expect in terms of feature usability or feel, very few users have the ability to accurately assess accuracy. Because of the number of variables involved, any stand-alone test is going to be problematic in one way or another. The laboratory standard for determining the accuracy of wood moisture meters is an ASTM standard (D4442-07) that uses an oven-dry laboratory method to determine the true moisture content in wood samples, and then comparing these oven dry results to the measurement results (prior to oven drying) given by the meters on the wood samples. The difference in the two results quantifies the measurement error of each moisture meter tested. The true measure of a moisture meter’s accuracy, then, is its accuracy when used in a real-world setting and then the comparison of these readings against the oven dry test. Next, any real-world accuracy test or study that uses an inadequate number of wood samples cannot really produce a reliable assessment. Put into practical terms, each piece of lumber of the same species will vary depending on its geographical growth region, growth-ring counts, location (heartwood or outer layer), amount and type of naturally-occurring chemicals and density. Therefore, in order to get the best overall data regarding a meter’s accuracy, a larger sampling of side-by-side tests must be performed. Even “the best” meters will vary in their measurement accuracy from board to board, but compared to “the next best” will still be superior in overall accuracy of the total samples tested. Hi Gerry, We do not manufacture anything for the strength of wood — only for moisture. Hi, I’m impressed the way it works and also it is user friendly. What is the price and how to purchase it. can you ship it via post as DHL / UPS cost is too much.and makes it uneconomical purchase while shipping to country like Pakistan. You can order it online on this website, we do ship to Pakistan. But at any rate we will be in touch tos see how we can help. will foil lined wall insulation effect readings? Yes, could very well affect the readings, causing false high measurements. If you are just trying to obtain ‘comparative’ (relative) measurements to try and find wet areas (vs. normal), then it may not be an issue anyway. I assume you are attempting to determine moisture condition on a wall, and not a wood floor. The Wagner BI2200 would be the best model to use. Is pinned moisture meters are has ISO? can we use it in industries? if there is any policies can we have access to that? Wagner does not make pin-type moisture meters for wood, but the manufacturers that do make them can inform you as to whether or not they have ISO certification. Wagner is not ISO certified. Are the door frames flat or do they have some kind of profile or curve on the surface? What is the narrowest width? Next, Wagner meters are typically designed to moisture the moisture content in solid wood. You can, however, get comparative (relative, not actual ‘moisture content %’) measurements of the moisture condition in some non-wood building materials such as gypsum-based wallboard. hello i am manufacturer of soccer balls can i use this meter on pvc or pu material for check the moisture on the sheet or please advice me what meter i used on this pvc and pu sheet for check the moisturising on the sheet. Wagner’s handheld moisture meters were designed for wood and wood-based materials, but perhaps I could steer you in a better direction, with the answers to some questions: 1) What is the minimum and maximum thickness of the material you wish to measure? 2) What is the moisture content range for these materials? 3) What is the required accuracy of the moisture measurements? 4) Would it be possible for someone or some company in the US to acquire samples of these materials in the US? All measurement instrumentation can, and will drift from factory calibration over time. This is why instrumentation needs to be calibrated (or be verified for calibration) typically every one or two years, based on international standards.